On March 2 the second tanker "Provalys" with Russian LNG reached Boston. The U.S. has made efforts to push the EU away from Russian gas, but even America has had to resort to buying Russian LNG recently - is it a sign that Russia’s will continue to dominate the market? At the end of January a ship called Gaselys arrived in Boston Harbor. 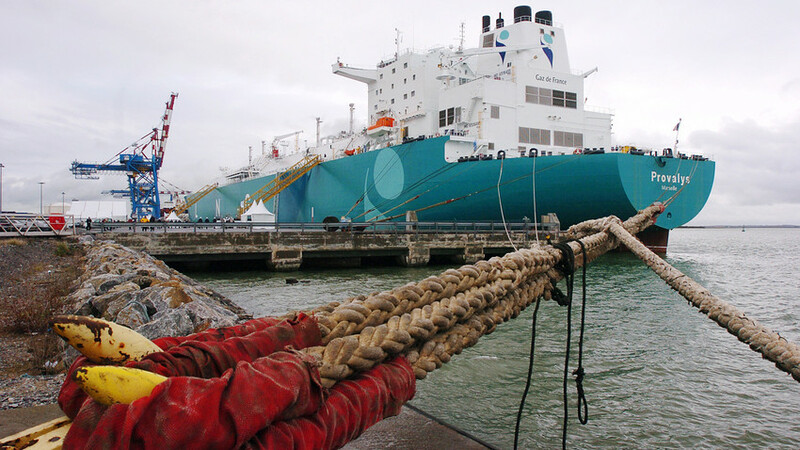 It was carrying something that America’s New England - hit by a cold snap - badly needed: Liquefied natural gas (LNG). Despite the fact the U.S. produces the resource itself it was forced to order from abroad, so it turned to French company Engie that bought the fuel on global spot markets, including LNG produced by Russia’s sanctioned Novatek. After the first tanker another one was ordered (it arrived on March 2), which didn’t do much for America’s image as one of the world’s leading LNG producers, especially after Washington’s attempts to persuade EU countries to lower their dependency on Russian gas - and buy American instead. Poland and Lithuania started buying from across the Atlantic, but other countries are stalling. According to the Russian energy giant Gazprom, at the end of February it was supplying record-breaking amounts of gas to Europe daily (655.2 million cubic meters on Feb.24) - all because of the abnormal cold weather. The annual exports of gas abroad have also increased. The head of the corporation Alexei Miller told Vedomosti newspaper that in 2017 Gazprom supplied 193.9 billion cubic meters (bcm) of gas abroad - an 8.1 percent increase compared to 2016. Now it enjoys the alltime largest share on the European energy market - 34.7 percent. The key importer of Gazprom’s gas is Germany: In 2017 it imported a record 53.4 bcm. Other states like Austria, Denmark, the Netherlands, Hungary, Czech Republic, Latvia, Lithuania, and Estonia have also increased their imports of Russian gas over the past year while Italy, the UK, and Poland slightly decreased their orders. To see real competition between Russia and other energy suppliers, one thing is necessary - a more or less similar price for the resource. For now, Russian gas is among the cheapest on the market. According to Vedomosti, the price of Novatek’s LNG (including transfer to Europe from Yamal) is $3.83 per one million BTUs (MBTU) - second cheapest only to Qatar with $3.19 per MBTU. Just to compare, the cost of U.S. LNG is $6.83 per MBTU. Is Russian gas here to stay? The process of building energy infrastructure such as the Nord Stream 2 project is in motion and will enable Russia to reach even more European consumers. While many Western countries could probably survive without Russian gas they will still continue to choose it because it’s the best option in terms of price-quality ratio, argues Roman Blinov, expert at International Financial Center. BP’s latest projections also show that although the U.S. might gain ground as a global gas producer and account for a larger share percent of total gas production by 2040, compared to Russia (24 against 14), it is still unlikely to replace Russia as the largest exporter of oil and gas. BP analysts say U.S. exports will only reach 360 Mtoe (million tons of oil equivalent) of oil and gas combined - less than half that of Russia (780 Mtoe in 2040). After all, Russia’s natural gas reserves are among the largest in the world (32.3 trillion cubic meters as of 2016) and this will give the country an advantage in keeping one of the leading positions in gas exports over the next 20 years, according to Ivan Kapitonov, deputy director of the Faculty of Governmental Regulation of the Economy at the Russian Academy of Sciences. Over the next 20 years, as the number of energy suppliers grows, trade in energy resources might decrease in volume, he argues. “Those countries that have larger reserves of traditional resources will, of course, have an opportunity to get the leading position on the market. Russia here will not be an exclusion. It is actively developing options for natural resources exports, and the recent story with LNG supplies to the U.S. is only proving this point,” he explains. Energy exports ensure Russia’s gold reserves never run out. Check out the place where all the treasure is kept. Is Russia a rich country or a poor one?